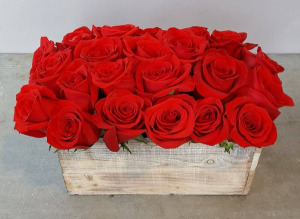 2 Dozen PREMIUM roses in OUR Signature, Local Artisan Crafted, rustic wood box. 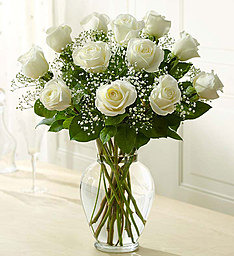 Mom will definitely be overwhelmed by this elegant and simple design! If you would like a rose color other than red specify it during checkout! Youthful. Graceful. Beautiful. 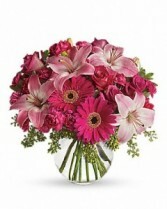 These are just a few qualities that come to mind when gazing at a gorgeous bouquet of pink flowers. Whether you want this arrangement to say "Happy Anniversary" or "Happy Any Day," you can be sure the day it arrives will be brighter for anyone lucky enough to receive it.Lovely pink roses and asiatic lilies are joined by hot pink gerberas and miniature carnations, pink full-sized carnations and more in a clear glass ball. Send this one and life will be a bowl of cheer! Hydrangea, Green, Each Roses, Cm, Medium Pink, Each Roses, Cm, Peach, Each Roses, Cm, White, Viburnum, Heather, Each Cylinder, Frost, Syndicate Sales. 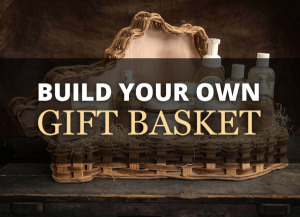 Create your own custom gift basket with products that you bring to us or are available at our store! This Custom Basket will be amazing with all of your gifts into a beautiful wicker basket that is sure to be amazing! Call us for pricing!!! Give yourself or a love one the gift of joy, beauty & delight with our exclusive Flower Subscription! 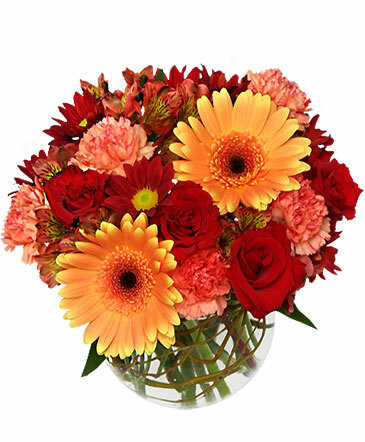 Be delighted with a beautiful bouquet every month. 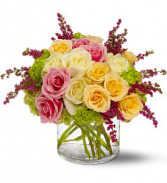 Farm fresh, signature bouquets, hand crafted by our design experts! 3 Month Subscription: $150 6 Month Subscription: $275 12 Month Subscription: $550 After you place your order our lead designer will contact you to discuss, styles, colors, and dates.